Intel unveiled its next generation of desktop and mobile processors today that will drive Ultrabooks, tablets, laptops, desktops and new form factors. The company’s 7th generation processor, also known as Kaby Lake, will extend the performance gains made last year when Intel unveiled its 6th generation Skylake chips. Intel reps state that Kaby Lake is meant to deliver performance increases, address 4K video delivery and bring new features to the market. Compared to last year’s Skylake, Kaby Lake will deliver a 12 percent boost in computing performance and 19 percent improved web performance, while consuming the same amount of power. Unlike last year where there was a little pause between Intel’s CPU announcement and consumer-ready products, Kaby Lake is expected to arrive on store shelves a lot sooner. “Consumers can expect more than 100 new devices based on Kaby Lake,” said Karen Regis, director of Mobile Platform Marketing at Intel Corporation, in a private meeting ahead of the launch of Kaby Lake. Those designs will begin showing up as early as September, and Intel says that its partners will unveil their portfolio through the end of the year, in time for the holiday shopping season. Starting January 2017, Intel’s partners will follow up with more than 300 additional designs across different form factors. Intel will launch additional SKUs for its processors to target products for enterprise, workstations, Iris graphics and enthusiast PCs. Like Skylake, Kaby Lake is expected to scale between 4.5W to 15W, depending on the processor type. Because Kaby Lake is largely based on Skylake, Regis says that Kaby Lake chips will work in Skylake sockets for easy upgrades. Because Kaby Lake is the final “tock” in Intel’s tick-tock-tock upgrade cycle, users of Skylake most likely won’t be the ones to upgrade to Kaby Lake, Regis conceded. Kaby Lake will be targeted to users with PCs upwards of five years old, and this is where the performance gains get dramatic. Compared against a five year-old PC, Kaby Lake delivers almost double the performance (1.7 times, to be exact) and the processor allows users to create and edit 4K UHD 360 videos up to 8.6 times faster. HD gaming performance is expected to be three times better. If you’re editing videos on your tablet, this means that video highlights can be created in near real-time. Intel claims that it will take roughly 12 minutes to convert an hour-long 4K video. If you’re more of a content consumer than a content creator, Kaby Lake also makes it easy— and efficient—to view 4K video. The biggest gains for 4K consumption will be for owners of laptops and tablets, with Regis promising all-day battery life when streaming 4K content. Intel says that your device will be able to stream 4K video for up to 9.5 hours on a single charge, delivering 1.75 times longer video battery life than Skylake. With improved battery life while streaming 4K, consumers can expect more laptops, convertibles and tablets to ship with 4K displays. With Skylake, we saw a few 4K designs, but that number will accelerate with Kaby Lake, and Regis said we can expect more than 50 new designs with 4K screens. Intel is also betting big with Thunderbolt and Windows Hello capabilities with Kaby Lake. There will be twice as many designs with Thunderbolt support compared to Skylake, and five times the number of designs with Windows Hello. This means that more than 120 new designs will come with Thunderbolt support and 100 new designs with Windows Hello biometric login. Thunderbolt support will not only bring fast data throughput for connecting accessories, but it will also allow users to use the Thunderbolt over USB-C port to enhance their computing experience with an external graphics box. This allows owners of thin and light Ultrabooks, for example, to be able to connect a powerful GPU when they’re at their desk to play even more powerful games. Kaby Lake is built using an improved fin profile using Intel’s 14nm plus architecture. Engineers have also worked to improve the transistor channel strain, leading to double-digit year-over-year performance gains. “Because Intel has integrated manufacturing and design teams that sit together, they can actually work together to co-optimize the product and the processes together,” Regis said of the chip’s design. At 4.5W, Kaby Lake is also more power efficient. Compared to the first generation Intel Core processor, Kaby Lake is ten times more efficient. Skylake was only eight times as efficient, as a comparison. In terms of graphics, Kaby Lake’s system-on-a-chip (SoC) design is built on the same Gen9 graphics architecture as Skylake. There is a dedicated media engine for video decoding, and Intel says that improved silicon process and design provide additional performance gains and better power efficiency. For 4K streaming, Kaby Lake will support the HEVC codec at 10-bit and Google’s VP9 codec. Kaby Lake’s power efficiency will lead to thinner devices. This means that starting in September, consumers can expect to see convertibles and clamshell notebooks at 10mm thin or less. Additionally, fanless detachables, powered by Intel’s more power efficient Core m processor series, will come in at under 7mm thick. To make it easier for consumers to identify which products will ship with Kaby Lake, Intel has redesigned stickers that will be seen on devices. 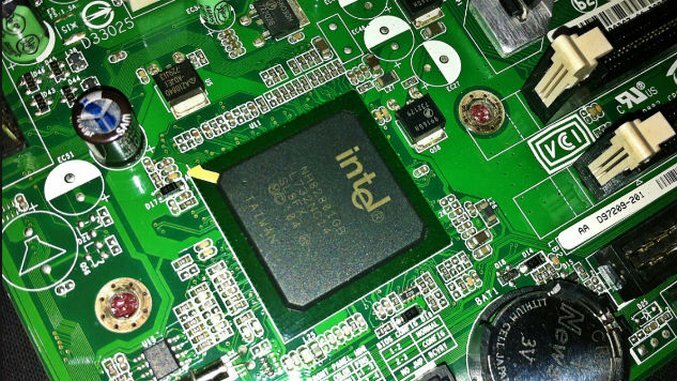 The new stickers identify the product name, such as Intel Core i3, and will also display the “7th Gen” moniker, alerting consumers that they are purchasing products with the latest Intel chips. “Because of the processing gains we’re able to achieve with Kaby Lake, we’ve moved the [Core] m5 and m7 chips into the Core i product lines,” Regis said. Core m3 will become Intel’s entry-level mobile CPU, followed by Core i3, i5 and i7. The change in branding is to address a suggestion by retail and OEM partners to make the portfolio less complex, according to Rian Lawson, product reviews manager at Intel. Additionally, because of the significant improvements in the 4.5 Y-series [Core m] product line, the performance differences between the Core m and the Core i products were blurring. This led to the Core m5 and Core m7 to be integrated into the Core i5 and Core i7 brand.